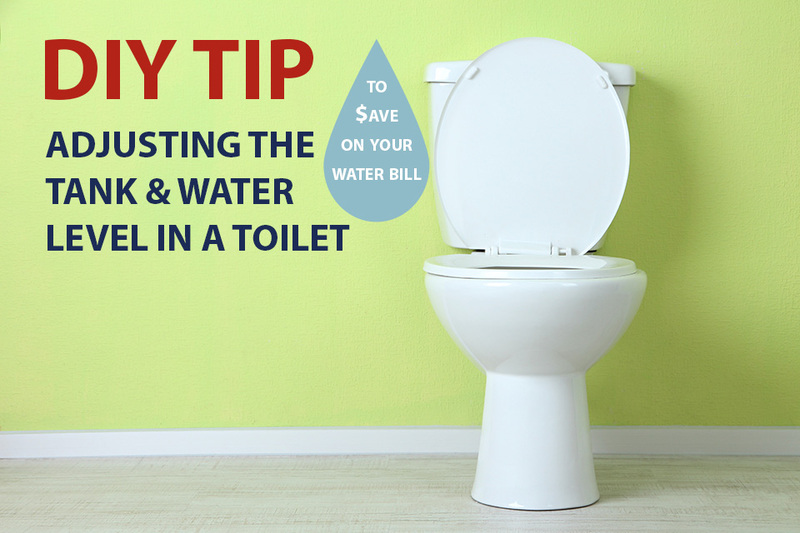 Here’s the next DIY tip in this series… how to adjust the tank and water level in your toilet. You are sitting in your house relaxing and suddenly realize that trickling water sound that is so mesmerizing is actually coming from the toilet. Water (and your money) is just flowing down the drain. Fortunately most toilet issues are easily solved and can be accomplished by even the most novice homeowner or renter. General guidance: Always check the easy solutions first. Don’t assume that any noise you hear is because the wax seal has warn out. That would be a major issue that we won’t even touch, but we will look at the quick and easy fixes. These will all require you to take the top off the tank and carefully place it on the floor out of your way. It is also advisable to turn off the water while you are working in the tank. The valve is usually located a few inches off the floor, beneath the tank, in a place that is difficult (but not impossible) to reach. Go ahead and turn the valve handle to shut off the water. Adjusting the tank handle. Tank handles frequently loosen up and result in a lot of play in the handle. This is does not typically lead to a dripping noise but can be annoying. Hold the tank handle with one hand and turn the nut located in the tank with the other hand. This nut tightens counter to almost every other nut you will encounter, so don’t be surprised. If you tighten this too much the handle binds. Not enough and the handle wobbles. You have to find the right adjustment that is not too tight and not too loose. You may need pliers but I recommend starting with just your fingers. Adjusting the chain. Do you have to hold the handle down a long time to flush the water? It could be that the chain between the handle and the flapper valve is too long. If that is the case simply move the hook up a couple links of the chain. If a wire is used rather than a chain bending the wire differently will solve the same issue. Sometimes the fill valve will have a float arm adjustment screw that can be adjusted to change the water level in the tank. If your tank has one of these adjust it first before trying the next couple tips. Bend the float arm. The water level should be a little below the overflow. To adjust the water level in the tank, gently bend the float arm up to increase the water level in the tank or down to lower the water level. Slide the float cylinder. There is a float clip located on rod of the fill valve assembly. Squeeze the float clip to release the float cylinder and move the clip up or down on the rod to adjust the water level in tanks that use this style valve (versus the float arm). These are the easiest toilet adjustments that require minimal tools (maybe plier and a screwdriver at most) and time. Future DIY tips will touch on slightly more difficult flapper valve and/or float valve assembly replacement.